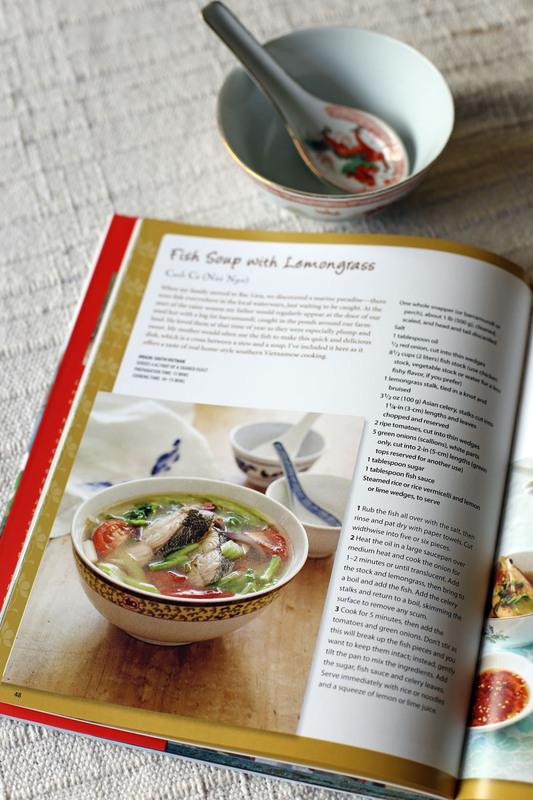 Today’s recipe the Fish Soup with Lemongrass will be coming directly from a recipe book called Little Vietnam by Nhut Huynh and it is one of the first recipes I will try from this amazing book. I chose this dish as I love noodle soup dishes, they are full of flavour and aroma, I think I won’t go wrong on this one. Little Vietnam brings together 80 authentic recipes that capture the energy, colour and excitement of Vietnamese cooking. Acclaimed Vietnamese chef and restauranteur Nhut Huynh shares his passion for the food that sustained his family during times of war and separation and which today inspires him to explore Vietnam’s wonderfully rich culture. In this easy-to-follow Vietnamese cookbook, Nhut introduces traditional classics alongside the eclectic street-stall dishes he has collected on his many trips back to Vietnam to visit friends and family. Throughout, Nhut offers practical tips on sourcing ingredients locally and mastering cooking techniques. Based on ingredients available at most Western supermarkets, these recipes will delight the home cook, while Nhut’s personal story will inspire all of us to take a longer look at an emerging country and its rich culinary traditions. 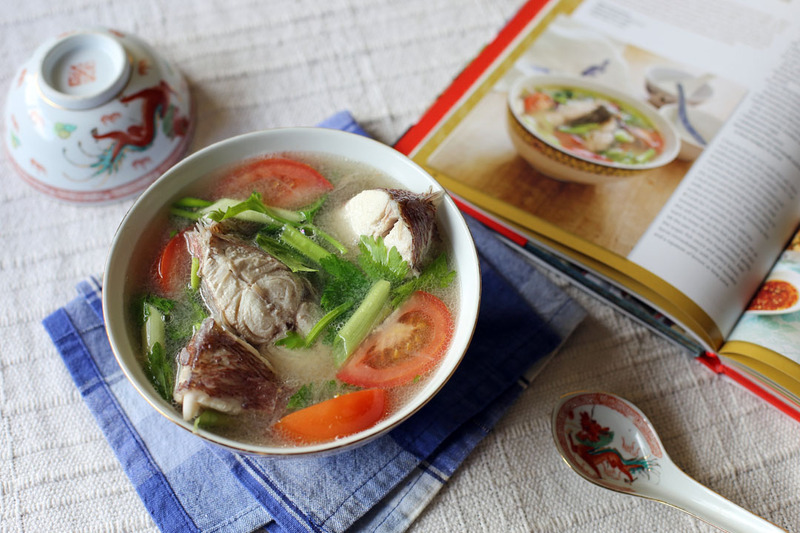 Before we go on to the recipe Ang Sarap and Tuttle Publishing is giving away 3 books which contains Little Vietnam plus your choice of 2 books (worth US$20.00 and below) from the Tuttle Publishing range. Competition is open for 2 weeks and we accept entries worldwide, just fill in your details on this competition page to join..
What are you waiting for join now to win the book of your choice! Heat the oil in a large saucepan over medium heat and cook the onion for 1-2 minutes or until translucent. Add the stock and lemongrass, then bring to a boil and add the fish. Add the celery stalks and return to a boil, skimming the surface to remove any scum. Cook for 5 minutes, then add the tomatoes and green onions. Don't stir as this will break up the fish pieces and you want to keep them intact; instead gently tilt the pan to mix the ingredients. Add the sugar, fish sauce and celery leaves. Serve immediately with rice or noodles and a squeeze of lemon or lime juice. Just added this to my weekly dinner menu. Yum! 🙂 Healthy too. Thanks Raymund. yummerty and so healthy! Just one question, did you use palm sugar or regular sugar? Nithing a better combination instead fish and lemongrass!!! I love dishes that use lemongrass. The fragrance and flavor is quite addicting. 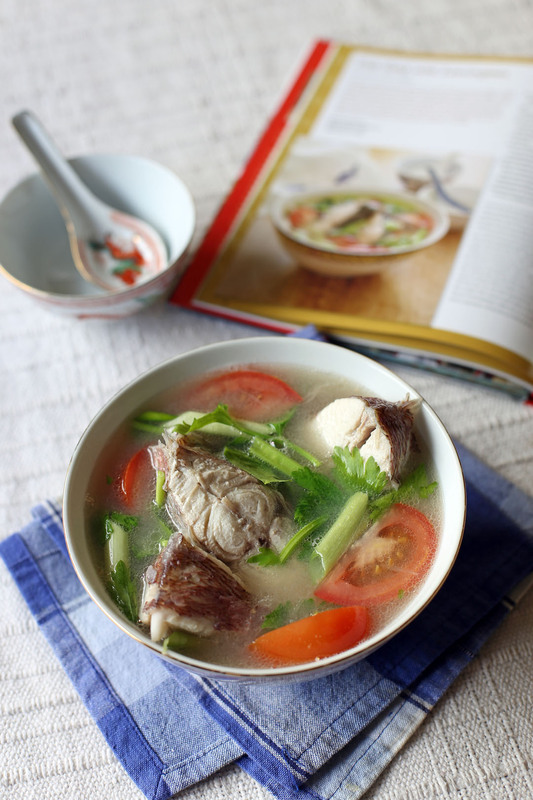 Love fish soup using the lemongrass as the main flavor! This cookbook sounds like a nice addition to any Vietnamese food lovers! Do you know I just found fresh lemon grass at my grocer for the first time last week. I was so excited! I can’t believe how much your photo looks like the cookbook photo Raymund! Fabulous! mmmm I love Vietnamese cuisine. It seems so much lighter and fresh than neighbouring Thai food.